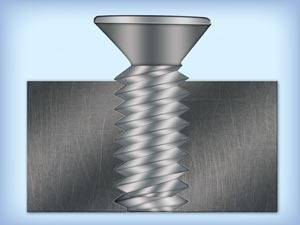 Since their mass production and standardization became possible in the late 18th century, threaded fasteners have played a large role in industry. The strength, versatility, ubiquity, and low cost of threaded fasteners has resulted in their use in everything from structural supports for buildings to the bolts used to mount a motor to its base. While relatively simple in design and construction, selecting the proper fastener can be a very important choice. Many industrial disasters and fatalities have been attributed to a poorly chosen or defective fastener. The module, Threaded Fasteners, has been added to your cart.